Why didn’t Hong Kong have democracy under the British? It’s been a whirlwind month for me. I recently spent time in Taiwan for a Fulbright conference which brought together all researchers from the mainland, Hong Kong, and Taiwan. It’s great to be back in Hong Kong. I started writing this post before I started traveling, but just recently got to come back to it. 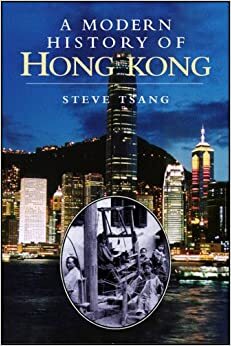 I re-read Steve Tsang’s Modern History of Hong Kong (2003), and considering how questions of empire, postcolonialism, and responsibility have been such important topics in the past few months, it made for some interesting thinking. Here’s two posts (1, 2) from this blog on the subject, for instance. I thought it might be useful for me (and for any other readers) to have an overview of his argument, and to think through it a bit. The typical narrative of Hong Kong, Britain, the PRC, and democracy goes like this, from the pro-democracy angle. After World War II, we had a new set of global dynamics: global decolonization, the Cold War, the pitting of communism against democracy. The founding of the PRC and various purges and social upheavals on the mainland, including the Cultural Revolution, made Hong Kong’s population explode with refugees from persecution. So, strike one against the PRC. Great Britain, recognizing that its time of global empire was up, wanted to make moves to introduce democracy to Hong Kong. Various colonies were en route to becoming self-governing entities, even if formally still part of the Commonwealth; this domestic autonomy typically led to formally independence after a while. Singapore is one popular example that compares very well to Hong Kong, due to its colonial history, its large percentage of ethnically Chinese residents, and its size. Lee Kwan Yew, who just passed away two days ago, was Singapore’s first Prime Minister in a new political system, starting in 1959, in which the city was autonomous and self-governing in everything except defense and foreign affairs. This gradually led to a merger with Malaysia, then a separation that made Singapore officially independent. However, the PRC refused to allow any changes to be made in Hong Kong, seeing such reforms as a “virtual act of war,” as former British diplomat Tom Collard argued on September 25 of last year. 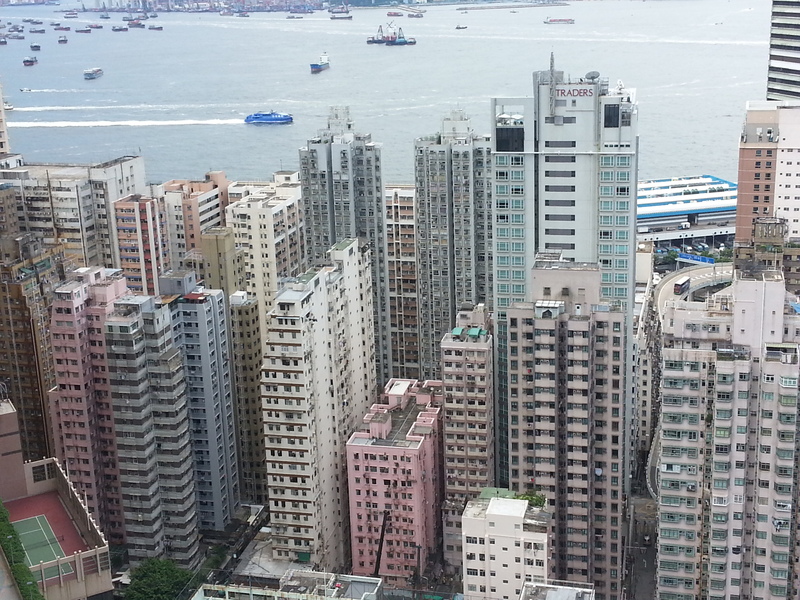 The politically isolated PRC also benefited from the status quo in Hong Kong, as the city served as a “window” to the outside world until the PRC was recognized by the international community in the 1970s. And thus, the argument goes, despite Great Britain’s desire to grant democracy to its former colonies, the PRC forced Britain to remain a colonial master over Hong Kong. In this narrative, then, although Britain had been imperialist (a bad word in today’s contexts), it had seen the light and wanted to encourage democracy, human rights, and freedom (almost always paired together rhetorically) in all its former colonies; this is further demonstrated by the reforms that the last British governor, Chris Patten, introduced during his term. It was the PRC that prevented Hong Kong from realizing these ideal goals, and it continues to do this today. So that’s a popular narrative of history. Here is Tsang’s analysis. Tsang argues that World War II, the decline of the British Empire, the founding of the PRC, and the changing values and demands of the postwar Hong Kong population forced the British colonial government to undergo significant reforms in its governance. It went from being a “benevolent autocracy” before World War II, in which the government only really dealt with Europeans and other “Westerners” and otherwise mostly ignored the majority Chinese population, to being a government that was actively involved with the ethnic Chinese society. Robert Bickers and Ray Yep and other Hong Kong scholars argue that riots and strikes in 1967 forced the government to recognize its own weaknesses and the need for reform. Despite this, Tsang notes, by the 1980s the population of Hong Kong had developed different expectations – namely, the desire for democracy. Despite all the good that the government offered to Hong Kong, there was no democracy. Why not? Tsang argues that democratization between 1947 and 1982 didn’t occur because (1) the people did not demand it, and (2) the government was, for the most part, meeting the people’s expectations (207). The government was willing to make reforms and increasingly invited public participation in local governance through initiatives like City District Officers, advisory committees, and district boards. That led to a sort of consensus government. Traits so often associated with democracy, such as the rule of law, protection of human rights, social and political stability, and personal freedoms, were already guaranteed. So, it wasn’t until the 1980s that there was much pressure for democratization itself. Then what about the argument – so recently and emphatically claimed by various parties during the Umbrella Movement – that the real reason for the lack of democracy was because the PRC would not permit it? Tsang argues that it really wasn’t the PRC giving signals against democratization – but that it was the British and Hong Kong officials themselves who developed this belief on their own. He writes that throughout the 1950s, and even through the early 1960s, there was “no record […] of any British official or diplomat being told that the PRC would not tolerate democratisation in Hong Kong” (206). What they understood about the PRC regarding Hong Kong’s political status was that the PRC would not be happy about Hong Kong’s independence. So, Tsang puts this in the context of the British Empire’s decline. The typical experience of decolonization showed that democratization usually led to a colony’s self-governance, which then led to independence over time. Thus, if democratization led to independence, and the PRC objected to Hong Kong’s independence, then Hong Kong colonial officials came to believe that the PRC objected to democratization (207). It was not democracy itself that the PRC objected to, but independence. What, then, led to calls for democracy in the 1980s? Tsang argues that it was due to the start of the British-Chinese talks on Hong Kong’s future. When the British had taken control of the New Territories, it was for a period of 99 years, which would arrive by 1997. There wasn’t really a shift in the political situation between the PRC and Britain that sparked the discussions, but rather an appointment that had been made many years ago. Tsang argues that the lack of opportunities for direct participation in these negotiations made people “deeply frustrated and concerned about their own future” (208). Both the British and the Chinese representatives, all of them non-elected, believed that they each represented the interests of the Hong Kong people best. But people in Hong Kong had no direct voice, and thus, they began to desire that voice. He talks about alternative methods that Hong Kong people considered to gain some control over their future. Some saw democratization as the best choice, while others thought being co-opted into the new Chinese power structure would be best (230). You might say that today’s political structure and debates are a continuation of this conversation. Tsang writes that in the Sino-British negotiations from 1982-1984, Deng Xiaoping was adamant that Hong Kong would be under Chinese sovereignty. The British under Margaret Thatcher hoped to renew their lease of the New Territories (and thus of Hong Kong and Kowloon), but Deng was firm in the anti-imperialism stance of the early CCP. Tsang writes, “He was determined to use Hong Kong to wipe out China’s humiliation by the West in the preceding century” (219). More importantly to the issue of sovereignty, was that Hong Kong would be used as a model for Taiwan, which was – and is – the real prize. In fact, the talks did not begin for eight months because the PRC “demanded that the British acknowledge their sovereignty over Hong Kong” as a “precondition” before any serious discussions about begin (221). Here is my own, potentially problematic, question: Is democracy really necessary, then? Hong Kong has shown that it’s possible to have the rule of law, protection of human rights, and so on, without a democracy. Given, that was an unusual (and perhaps ironic) situation, because Hong Kong was a colony. Its government was modeled after changes in the government of the metropole – changes in Britain would lead to changes in its colonies. What’s happening in HK is that democracy is associated with independence, and each is confused for the other. This makes me think about theories that my boyfriend has been introducing to me in the realms of sociology and political science. He studies ethnic violence and democratization in Southeast Asia, with a current focus on Myanmar. Some scholars – particularly Jack Snyder, in his From Voting to Violence: Democratization and Nationalist Conflict (2000) – have argued that liberalization policies, such as increasing freedom of speech, freedom of the press, and freedom of assembly, allows various groups to push for their interests by drawing on nationalist rhetoric. Prior to this liberalization, elites would not have needed to appeal to the public for approval or for legitimacy; however, this change means that elites suddenly do need this. Thus they begin to draw on ideas of nationalism and engage in “nationalist myth-making” in order to bolster their legitimacy and power. This process can be controlled if there are strong pre-existing institutions, such as a “disciplined press” that would recognize rampant nationalism and rumors for what they are. But an “undisciplined press” would instead to the proliferation of nationalist ideas, and eventually, to civil war. The centerpiece of American foreign policy in the 1990s was the claim that promoting the spread of democracy would also promote peace. Noting that no two democracies have ever fought a war against each other, President Bill Clinton argued that support for democratization would be an antidote to international war and civil strife. Yet paradoxically, the 1990s turned out to be a decade of both democratization and chronic nationalist conflict. While the world would undoubtedly be more peaceful if all states became mature democracies, Clinton’s conventional wisdom failed to anticipate the dangers of getting from here to there. Rocky transitions to democracy often give rise to warlike nationalism and violent ethnic conflicts. Since the French Revolution, the earliest phases of democratization have triggered some of the world’s bloodiest nationalist struggles. The central message of this book, consequently, constitutes a paradox. On the one hand, the successful unfolding of a global, liberal-democratic revolution might eventually undergird a more peaceful era in world politics. On the other hand, the transition to democratic politics is meanwhile creating fertile conditions for nationalism and ethnic conflict, which not only raises the costs of the transition but may also redirect popular political participation into a lengthy antidemocratic detour. The three most nearly successful attempts to overturn the global balance of power through aggression—those of Napoleonic France in 1803-15, Kaiser Wilhelm’s Germany in 1914-18, and Adolf Hitler’s Germany in 1939-45—all came on the heels of failed attempts to democratize. Popular nationalistic energies, unleashed and perverted by the miscarriage of democratic reforms, created the conditions that made possible these bids for global hegemony. Thus, the process of democratization can be one of its own worst enemies, and its promise of peace is clouded with the danger of war. To be very clear, Snyder’s argument is not that democracy can lead to increased violence, but that the process of democratization can. It certainly seems like a version of this theory is playing out in Hong Kong now. The media is increasingly polarized, and one of the favorite media outlets of nationalistic pro-democracy Hong Kongers, Apple Daily, does not seem to have the traits of a “disciplined press.” On October 24, Apple Daily reported on an overheard conversation in which several men were recruiting for a “dismantling roadblocks operation,” asked the participants to wear a green ribbon, and described some 30 of those recruited as “A Cha” (a derogatory term used for people of South Asian descent). An overheard conversation! The paper has also been known to publish stories that, once called out for poor journalistic quality, are then removed quietly from the website. I apologize for the lack of photos in this post – so as a conciliatory gesture, here’s an interesting newsreel clip I found on YouTube about the 1967 riots. Just know that the riots and disturbances lasted much longer than the one week the clip covers, and that the situation was much more complex than simply people of Hong Kong wanting an end to British rule (as that implies that all Hong Kong people wanted this, which is absolutely not true).